Secretary General of the Arab League, Nabil al-Arabi accuses Iran of "provocative actions". He delivered it in an emergency meeting of the Arab League on Sunday (10/01) in Cairo. The meeting was held to discuss the tension between Saudi Arabia and Iran following the execution of a famous Shiite clerics of Saudi Arabia, Nimr al-Nimr. Saudi Ara broke off diplomatic relations with Iran after Saudi Arabia's embassy in Tehran was attacked by angry protesters on executions. In an emergency meeting initiated by Saudi Arabia, the Arab League secretary general also called for Arab unity. 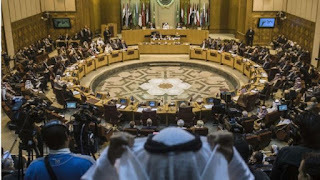 He hopes the organization of Arab countries could "adopt a strong common position and clear to call upon Iran to stop all interference in the affairs of Arab nations". Iran has accused Saudi Arabia utilize this dispute to fuel tension that would be bad for the efforts that are put together to create peace in Syria. 0 Response to "Addressing the Saudi-Iranian Tensions, the Arab League condemns Iran"